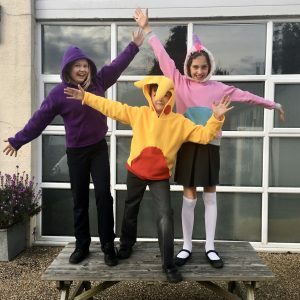 This one day workshop is a great introduction to sewing, perfect for boys and girls aged 9+. 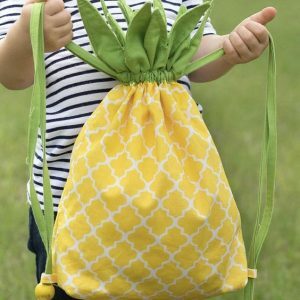 Everyone needs a drawstring bag in their life, and what could be better than one you’ve designed and made yourself with your own choice of fabrics and trims! 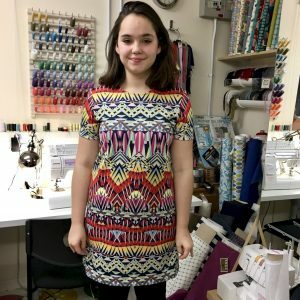 This two day workshop is a great introduction to making your own clothes, the relaxed fit of a T-shirt dress is also comfortable for all body shapes. 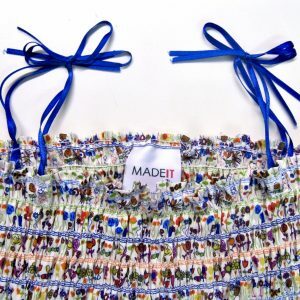 This one day workshop is a great opportunity to dip a toe into the world of making your own clothes. Suitable for complete beginners or the more experienced. This one day workshop is a great opportunity to dip a toe into the world of making your own clothes. Suitable for complete beginners or the more experienced. 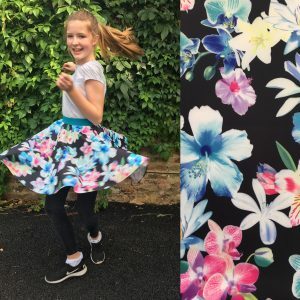 In this class you will make either a Skater Skirt, a pair shorts. A Series of workshops over three days! This is a chance to try out lots of different textile and craft projects. 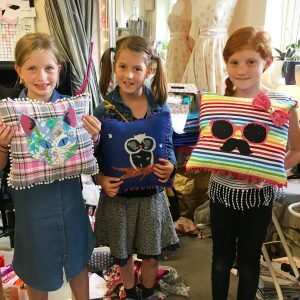 We’ll be making felted flowers and beads using natural wool, having a go at tie dye, block printing, and bleach designing with stencils, and there is also the opportunity to sew your own customisable drawstring bag! This workshop is suitable for all abilities, boys and girls are welcome at all of our workshops. You can book and pay for all of our Summer Workshops online using paypal. If you are interested in booking more than one workshop or for more than one student we are pleased to offer you a 10% discount on your entire booking. If this is the case, please contact us and we can send you an invoice via email. We are new to online payments and cannot yet offer discounts on purchases made through the website, sorry! 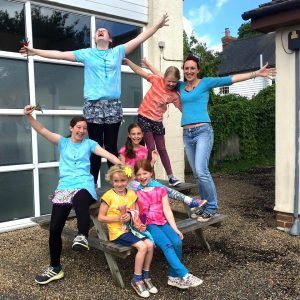 Workshops run from 10am- 4pm each day, boys and girls are welcome at all of our workshops, and unless otherwise specified, our workshops are suitable for ages 10+. Students are required to bring a packed lunch for each day they attend, you will also need to complete a consent form (this will be sent to you) agreeing to the activities that your child will be taking part in on the day of the workshop. We really look forward to seeing you for a Summer Sewing Workshop!